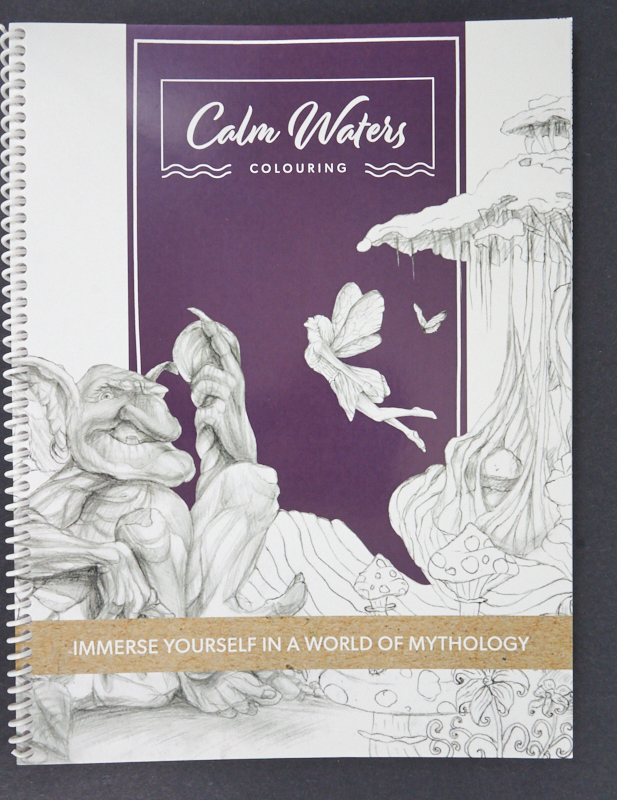 From Calm Waters Colouring, Alberta, Canada. 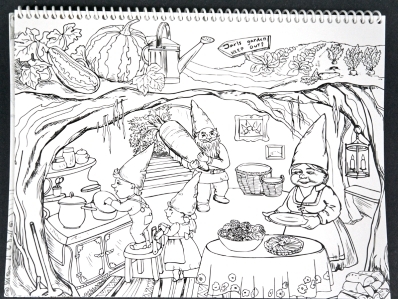 Each book has 29 pictures for hours of relaxation and fun. Enjoy no spine colouring, great paper quality and unique images. Finished art work suitable for framing. 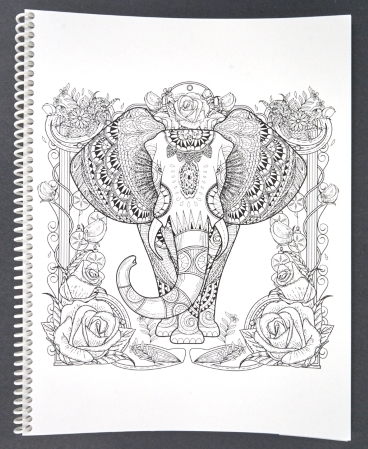 Choose from 3 colouring books. 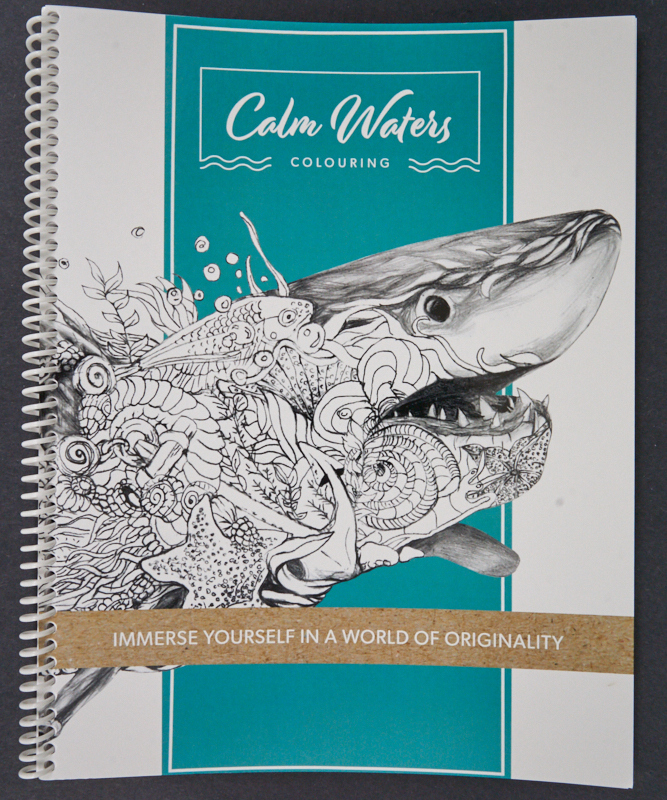 "Immerse Yourself In A World Of Originality". 29 pictures of all types of animals and birds including Horses, as shown, Buffalo, Moose, Lion, Peacock, Llama, Bear, Raccoon, plus more. Pictures have multiple animal pictues within the body of the animal or bird depicted. Item #CB001: Sale Price: $18.75 (saving 15%). Will ship to US and Canada only: $13.25 shipping. Click PayPal Buy Now button to pay by PayPal. 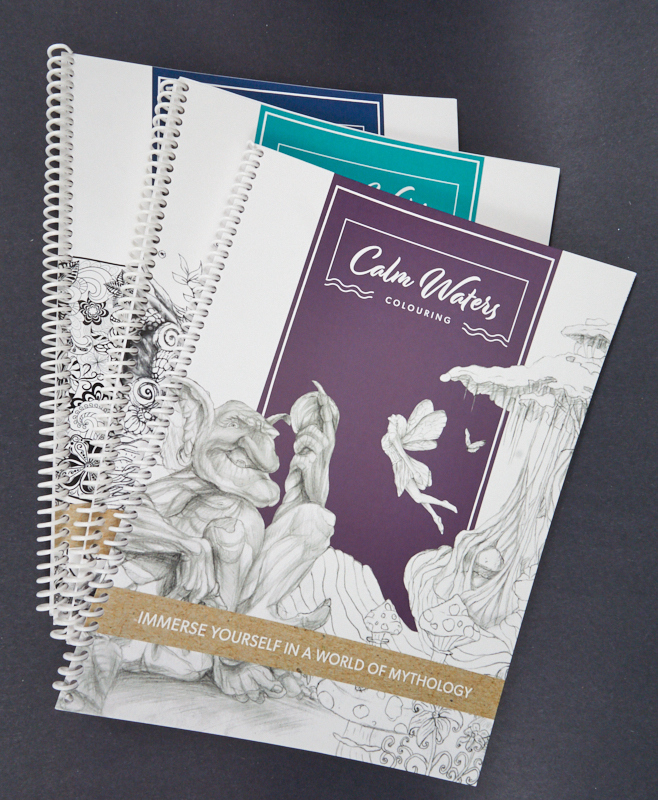 "Immerse Yourself In A World Of Mythology". 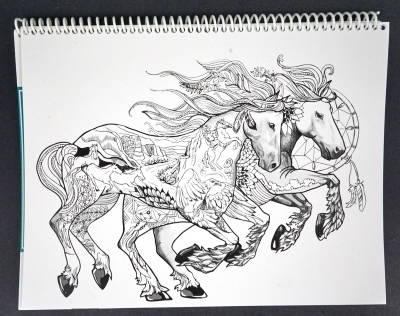 29 pictures depicting mythology subjects including fairies, animals, elves, dragons, Winged Pegasus, birds, unicorns. Item #CB002: Sale Price: $18.75 (saving 15%). Will ship to US and Canada only: $13.25 shipping. Click PayPal Buy Now button to pay by PayPal. 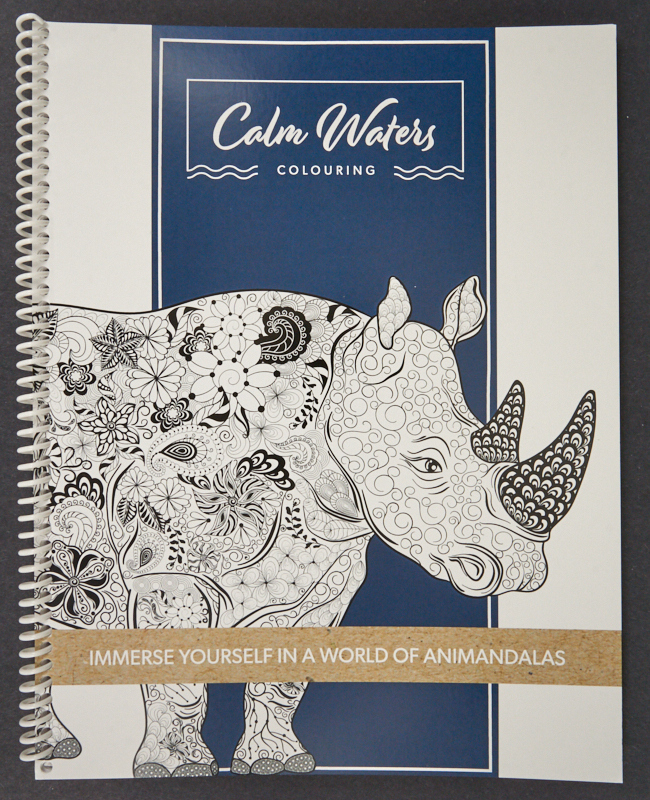 "Immerse Yourself In A world Of Animandalas". 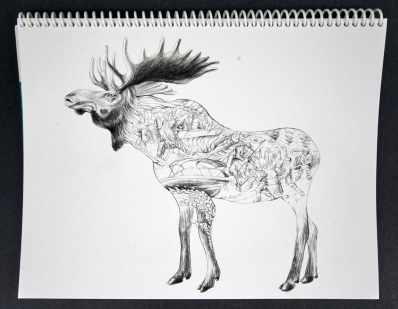 29 pictures depicting fanciful animals, birds, bears. Item #CB003: Sale Price: $18.75 (saving 15%). Will ship to US and Canada only: $13.25 shipping. Click PayPal Buy Now Button to pay by PayPal. Hoodsland Gift and Collectibles is an internet retail business in operation since 1997. Currently we operate from 2 established websites, Hoodsland.com and Hoodsland.ca. Much of Hoodsland’s business is carried on through eBay auctions and through Hoodsland’s eBay store. Sometimes advertisement is placed on Google, Facebook, and Kijiji under Hoodsland Internet Sales. Customer satisfaction is guaranteed in that all purchases are returnable and original buyer cost including original postage is refunded. All items found listed on Hoodsland’s websites or in Hoodsland auctions are on site and readily available for shipping immediately. PayPal and Credit Cards (MasterCard and Visa) are the payment methods of choice, however, money orders and cheques are accepted on either Hoodsland.com or Hoodsland.ca. If customers happen to live locally to Hoodsland then item pick-up and at times item delivery can certainly be arranged. For face-to-face delivery cash is always acceptable. For any questions prior to purchasing from either website please feel free to telephone. If more than one of the same item is desired please call to enquire re available stock and adjusted shipping cost. Just call: 1-800-214-6578 or e-mail: hoodsland@hoodsland.com. Please visit www.hoodsland.com or www.hoodsland.ca for more great gift ideas.